THIS BLOG ISN'T FOR YOU if you are a proud PTA member, or if you live for weekends schlepping children to and from sporting events and friends' houses, or if you feel fulfilled combing bubblegum from pigtails! But, if like me, you occasionally wish that your offspring would disappear, if "Get me out of here!" 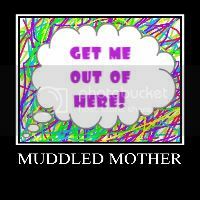 is your mantra, if you have come to relish the dentist office for its delicious quiet, then you are a Muddled Mother! Read on! I made a grave mistake waiting for the "right" time to connect with a sister-in-law who was obviously so incredibly special to so many. I am suspicious of those that love me. That is a difficult sentence to write, but early on what I learned about love was that it was conditional, and I had been told by those who were supposed to revere and protect me that I was very very flawed. Unfortunately, these two erroneous experiences led me to believe over the years in my deepest core that there had to be something wrong with who I am, what I do, the way I think, the way I look, the choices I make. That core belief, of course, as core beliefs often do, played themselves out in various ways throughout my entire adulthood. I did not think I was a good human. I did not think I was worthy of good because of my "badness" and therefore I often sabotaged things that could have been great or wonderful or beneficial because I believed what I was taught--I was less than--less than beautiful--less than dutiful--less than loyal--less than lovable--less than worthy...less than. Therefore, anyone who loved me; loved me with all its true meaning of acceptance and unconditionality, I was wary of. After all, what kind of person would love me? There must be something wrong with THEM too. The realization of what I believed about myself, and the subsequent discussions of the laws of attraction (you get what you believe, be careful what you wish for and all that jazz) have been worked through over and over with Dr. Speed Dial and I am making progress. Alas, this week I realized that my progress has not moved fast enough, and because of that--because of my innate suspicion of those that are kind to me--I missed an opportunity to be loved, I missed an opportunity to have a spectacular human being firmly planted into the soil of my life. I missed it, and I can't get the moment back. You see, on Tuesday, one of my sisters-in-law passed away. She had been sick with cancer for a long while and fought it valiantly with grace and beauty. My daughter Ila shares a birthday with her aunt, my sister-in-law. Sue leaves behind a beautiful family; a son, a daughter, three gorgeous grandchildren one of whom is Ila's age. In fact, her grand daughter and Ila were born weeks apart four years ago. 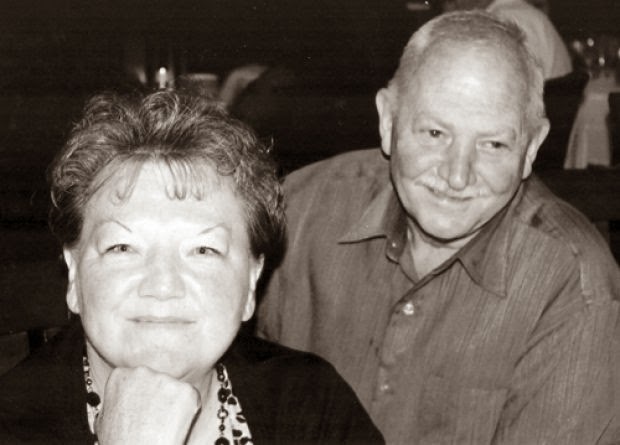 Back then, I was very sick and my dear sister-in-law, Susie, made an incredible effort to help. When she bought things for her sweet grand daughter, she bought the same for Ila. When it was time for Ila to get her first doll, it was Susie who gave it to her. On Halloween and other holidays, my sister-in-law loved all over my daughter as if she was her own grand child. All of this might not sound unusual to some of you, but you see, before the birth of my daughter, I really didn't know my sisters-in-law very well. I am ashamed to say that I still don't. They were people I would see twice a year during the holidays, because after all, as I told you, it felt very awkward and foreign to be around people who were so completely kind and wonderful. I didn't truly deserve that did I? How did I get so lucky? So for years, I pushed the idea that I might be able to be part of the bosom of this gorgeous family way way way way way out of my consciousness. This was easy to do because it was coupled by my husband's equally erroneous feelings of not belonging among them as well. Being the youngest of ten boys (you heard me) his brothers were all grown and gone with their own families when he was young and so the camaraderie of some of his other brothers seemed intangible to him as well. Therefore, my sister-in-law's kindness was incredibly generous and completely selfless and, well, I did what I usually did when faced with kindness and love, I avoided it, shunned it and made sure that it'd go away thereby confirming what I'd always believed about myself--I was unlovable. I am absolutely sure that these insecurities makes me seem aloof and haughty and not very nice. But I assure you that my tendencies to push people away or not even give them a chance comes from a place of pure uncertainty of my worth in the world. However, because of the intense work with Dr. Speed Dial and a decision to change what ails me, I have come to realize that I don't do this thing called family well. I also came to know that I had done that nasty pushing away stuff with Sue. However, in my mind, there was always this thought that now that I was starting to believe in myself a little more that perhaps, perhaps, I could make it right. I could accept the love and kindness. I could start over so that she and I, Jeff and Ila could feel like family feels, like Sue had tried to do four years ago. But now, it's too late. It's too late. I may have thought about forming a relationship with this loving human. I may have thought about visiting her, Facebook chatting with her, asking her to watch and mentor Ila every once in awhile, but...I never did. I never did, and now, I never will. There's a saying, "In the end we only regret the chances we didn't take, relationships we are afraid to have, and the decisions we waited too long to make." My sister-in-law's passing makes this message feel urgent to me. Dear readers, no matter what is in our past, no matter the mistakes, no matter our beliefs, we must never let them interfere with being loved and being accepted. Even more importantly, we must never let all our baggage keep us from loving others. It is our sacred duty as humans to push past whatever holds us back from having true, real and wonderful connections with humans so that we never regret or cause regret in others. Even the most jaded humans need to feel loved. I know most of us would agree that it is the most flawed among us that NEED the most kindness, the most understanding, and the best that humans can give. Why is it then that we don't apply that kind of thinking to ourselves? Jaded as we are, finding a human who WANTS to love us--flaws and all--is probably just what Dr. Speed Dial would order. I made a grave mistake waiting for the "right" time to connect with a sister-in-law who was obviously so incredibly special to so many. But dear Mudders, the only thing that I can do, or you can do when making a mistake is learn from it. Let our mistakes change us for the better. And so, that is what I am going to try to do. As I shed the itchy heavy coat of "I'm bad" and learn instead that I am--what ALL of us are---combinations of our choices, our deeds and most importantly our intentions about ourselves and others, I will turn towards the idea that I am lovable. I am worthy. We all are, Mudders. Thanks to my dear sister-in-law, I intend to learn to be a better family member, (if my extended family will still have me). I will choose to receive the kind of love that everyone deserves, and most importantly I will freely give back that love to all who give it to me. From Joanne: You have a way of putting into words how all of us feel at any given time in our lives, You have still have the opportunity to be a part of a wonderful family, You have some awesome sister-in-laws! Buzz was one of ten. I am so grateful that I was close to his sisters and brothers because now it is my connection to Buzz, They keep him alive for me. Sue was a kind, caring person. She gave you a gift. She will be missed but she will live on in all those who knew her. love you!! CLICK THE THE HIGHLIGHTED TITLE TO READ MY COLUMN "Hindsight: Parenting the Second Time Around AT THE WEBSITE HILLTOWNFAMILIES.ORG. THE COLUMNS COME OUT ON THE FIRST AND THIRD TUESDAYS OF EACH MONTH! Join me in my motherhood journey the second time around!! Robin Williams' Suicide: What only those that are depressed know. Blog Header Design: afewmineradjustments.blogspot.com. Simple theme. Theme images by luoman. Powered by Blogger.